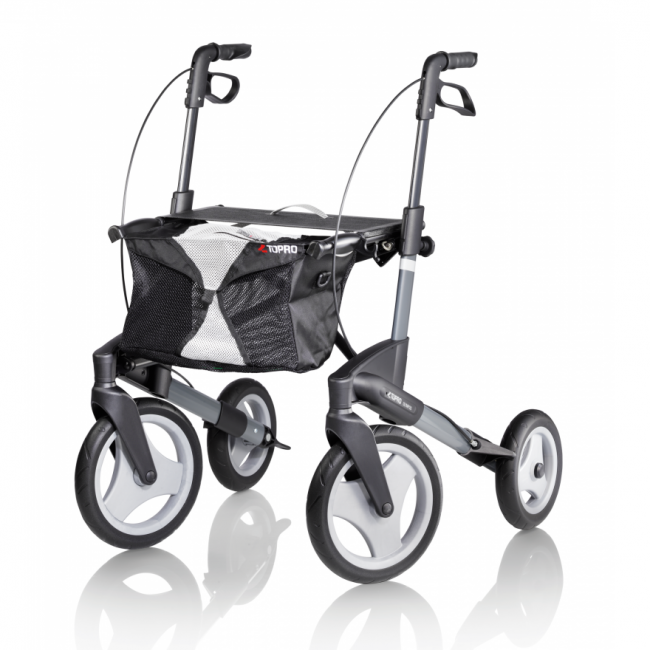 An award-winning rollator designed in Norway and recommended by health professionals. The award-winning Topro Olympos Walker is designed and manufactured in Norway and recommended by health professionals. This walking aid is practical to transport and ideal for users who travel by car, bus, or airplane thanks to its innovative folding frame.